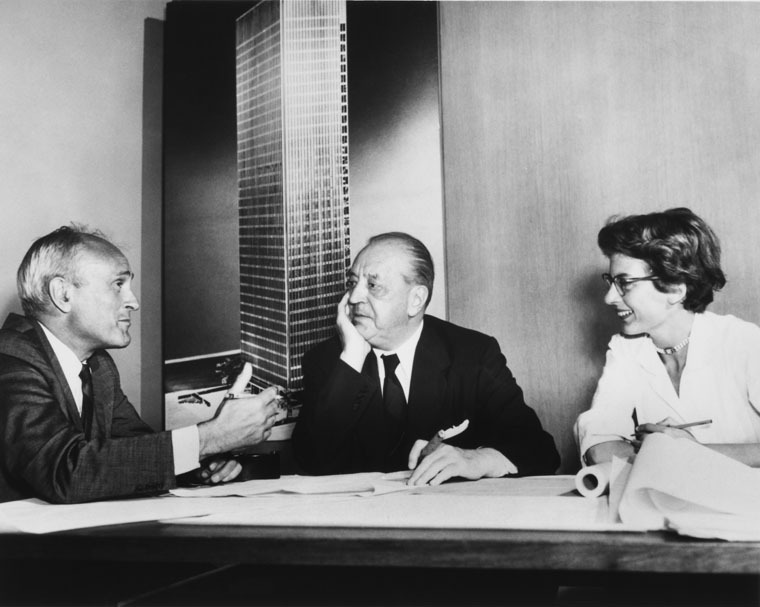 Philip Johnson, Ludwig Mies van der Rohe, and Phyllis Lambert in front of an image of the model for the Seagram building, New York, 1955. Gelatin silver print, 7 1/2 × 9 3/8 in. Photographer unknown. Fonds Phyllis Lambert, Canadian Centre for Architecture, Montreal. © United Press International. The Seagram Building, designed by Mies van der Rohe and Philip Johnson, is a masterpiece of the International Style and corporate modernism. 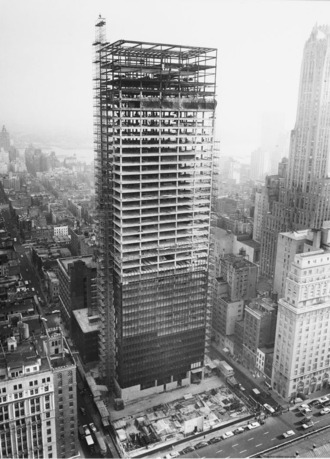 Constructed in 1958 on New York's Park Avenue, Seagram established the dominant style for American skyscrapers built during the following decades. Seagram, its plaza, and its Four Seasons Restaurant are among the century's greatest icons of architectural design. 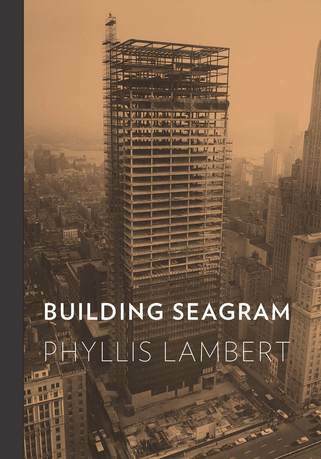 In Building Seagram, author Phyllis Lambert relies on unpublished personal archives, family correspondence, and a wealth of photographs to create an insider's view of the debates, resolutions, and unknown dramas of the building's construction. Lambert is one of the great architectural patrons of the twentieth century and few are more familiar with the role of corporate patronage than she; her insights about the concept of stewardship and Seagram's influence on other corporate projects are critical to understanding the role of the corporate patron in the development of modern architecture. 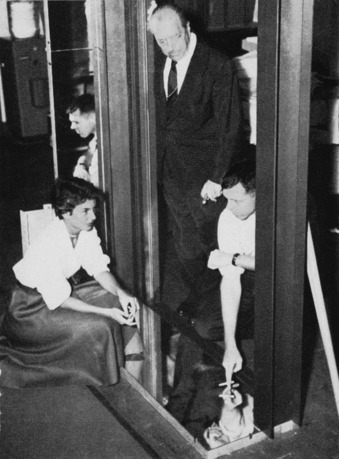 Author Phyllis Lambert is founding director of the Canadian Centre of Architecture in Montreal, which she established as an international research center and museum in 1979. A licensed architect, Lambert studied with Mies van der Rohe at the Illinois Institute of Technology, has contributed essays to numerous books, and is the subject of the 2007 documentary film Citizen Lambert: Joan of Architecture. A Fellow of the Society of Architectural Historians, Lambert was awarded the 2006 Vincent Scully Prize by the National Building Museum for her outstanding achievements in the design of the built environment. Michelle Komie is senior editor of art and architecture at Yale University Press. Komie has worked in acquisitions at Yale since 2001. Her titles have received publication awards including the Alice Davis Hitchcock Award, the Philip Johnson Award, and the Spiro Kostof Award from the Society of Architectural Historians; the Charles Rufus Morey Award from the College Art Association; and the John Brinkerhoff Jackson Prize from the Foundation of Landscape Studies. By publishing serious works that contribute to a global understanding of human affairs, Yale University Press aids in the discovery and dissemination of light and truth, lux et veritas, which is a central purpose of Yale University. Founded in 1908, the Press's publications are books and other materials that further scholarly investigation, advance interdisciplinary inquiry, stimulate public debate, educate both within and outside the classroom, and enhance cultural life. In its commitment to increasing the range and vigor of intellectual pursuits within the university and elsewhere, Yale University Press continually extends its horizons to embody university publishing at its best.